Over at House of Cards they are doing a photo inspired challenge, blog hop, and a DT call. They have fantastic prizes and a great photo to design by. It is at the end of this post. 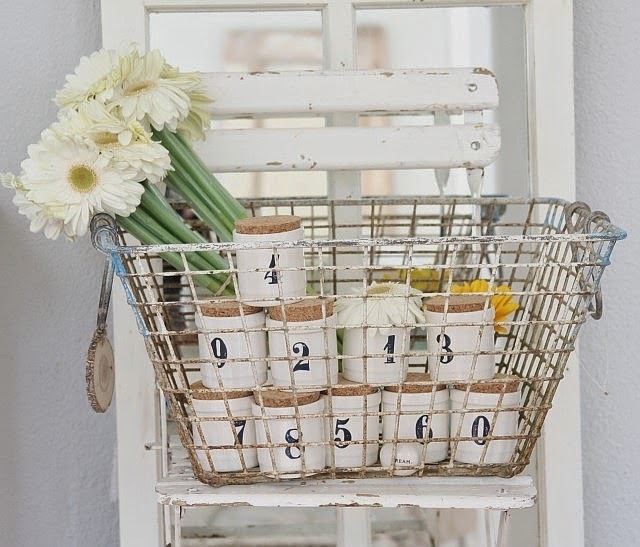 Numbers on the jars-I used translucent embossing paste (wendi vecchi) with the Cargo stencil (tim holtz) on the green layer of the background. 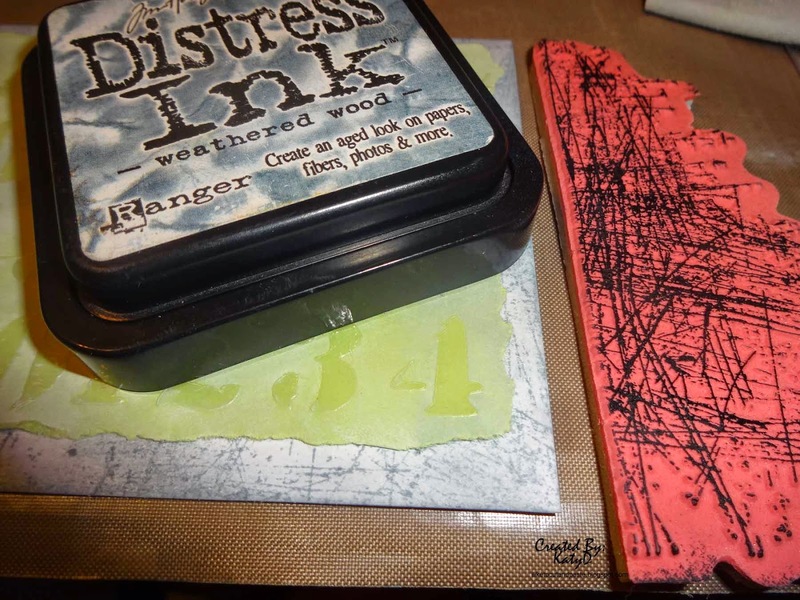 I used a grey and white stamp pad over the green paper to lighten it. If you look in the basket there is a yellow flower toward the right-the yellow ribbon was inspired by this. The photo is great! I used a piece of clear scraps for the sentiment. And the sentiment is from an older set of Stampin Up stamps that I bought at a thrift store (scrore!). The flower stamps are from Sparkle N Sprinkle with brads in the center. So beautiful! LOVING those daisies!!!! Love your cool looking card especially how subtly you added those numbers into the background. Thanks so much for joining us at HOC. LOVe your card! So pretty!!! A wonderful interpretation of the brief. Thank you for joining in at House of Cards. Love how you incorporated the numbers into the card from the inspiration photo. Thanks for sharing and joing our HOC Blog Hop. This card is amazing! Love the way you recreated the photo! Good Luck for DT! Thanks for joining us at the House of Cards!! This is gorgeous Katy! I LOVE the embossed background you've created and your beautiful daisies! Thanks so much for joining us at HOC and good luck with the DT call! A fabulous card, Kathy. Love the "scratched" TH background and the numbers on your card. Thank you for playing with us at House of Cards.